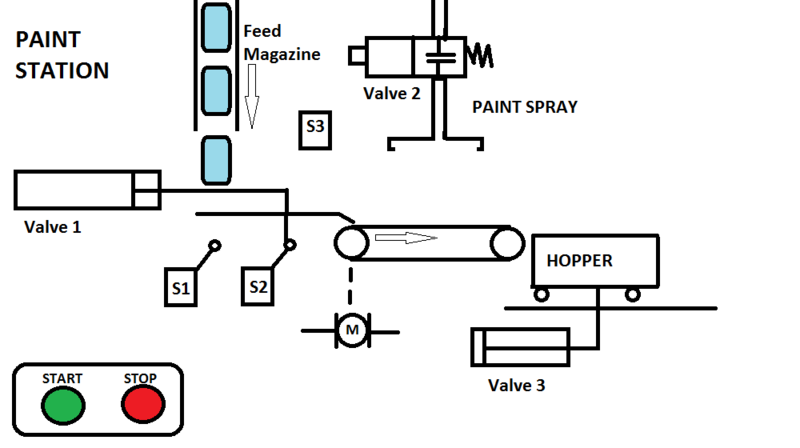 We will look at a PLC basic tutorial of a paint spraying station. Following the 5 steps to program development this PLC programming example should fully explain the procedure for developing the PLC program logic. Ladder will be our PLC programming language. Paint spraying system where boxes are fed by gravity through a feeder magazine one at a time onto a moving conveyor belt. Upon the start signal, boxes are pushed towards the conveyor by valve 1. This is a cylinder which extends and retracts which operates switches S1 and S2 respectfully. A spraying nozzle paints each box as it passes under the paint spray controlled by valve 2. A sensor (S3) counts each box being sprayed. When 6 boxes have been painted the valve 2 shuts off (paint spray) and valve 1 (cylinder) stops moving boxes onto the conveyor. Three seconds later the conveyor stops moving and the hopper with its load moves forward (valve 3) where it is emptied. Ten seconds later the hopper returns to the original position. The cycle is then complete and waits for a start signal again. Sequence Table: The following is a sequence table for our paint spraying application. When power goes off and comes on the sequence will continue. This means that we must use memory retentive areas of the PLC. The stop pushbutton will stop the sequence. The start will resume until the end. 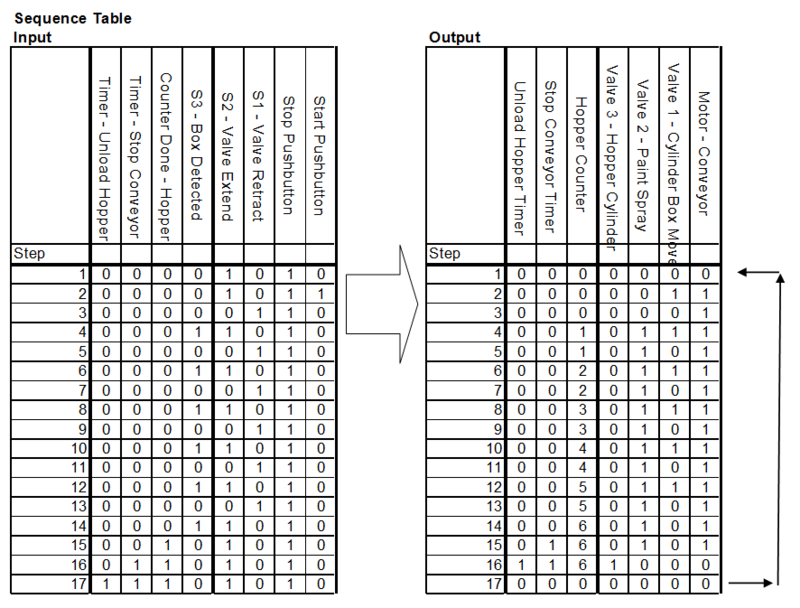 The best way to see the development of the programmable logic controller program is to follow the sequence table along with the following program. 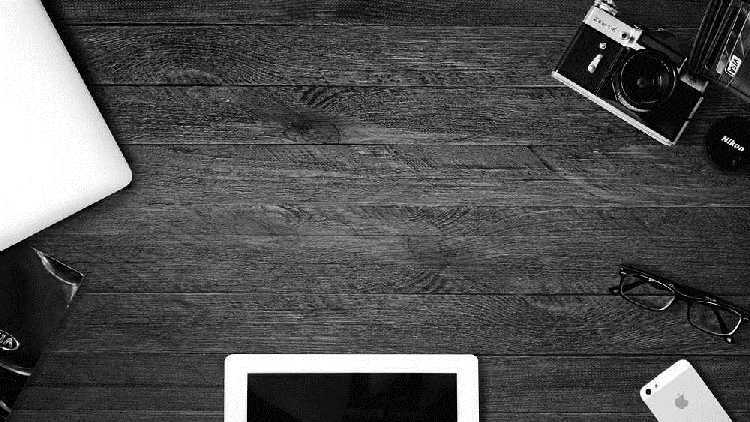 You will see the direct correlation between the two and get a good understanding of the process. This is the main process start and stop bit. V0:0 is used because it is memory retentive. 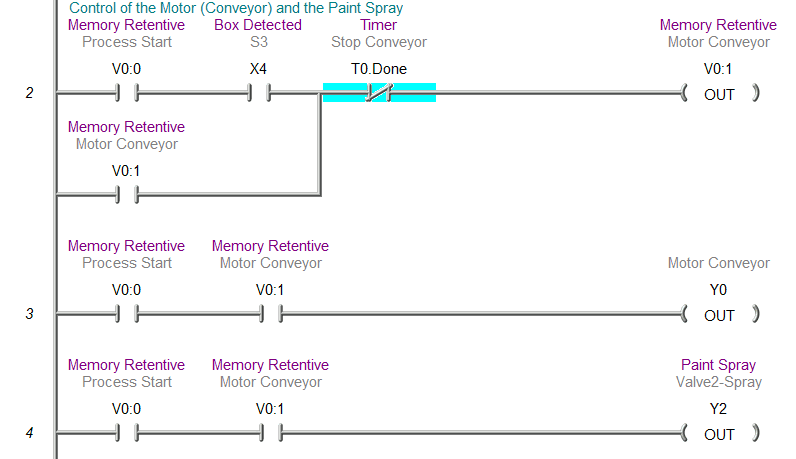 Control of the Motor (Conveyor) and the paint spray is done with the V0:0 contact in front of the actual PLC output. The conveyor and paint spray will stop when the timer 0 is done. This is the delay after the last box is detected to allow the box to be painted and loaded onto the hopper. Control of the box movement onto the conveyor. As long as we have the process start and the hopper count is not complete this will allow the cylinder to put boxes on the conveyor. Count number of boxes in the hopper via S3. The counter is memory retentive. Timer to stop the conveyor and spray after the last box is detected for the hopper. This will allow time for the box to be sprayed and loaded into the hopper. Hopper movement to load and unload the boxes. The hopper unload timer is to unload the boxes and will then trigger the reset conveyor timer, box counter and the process start bit (V0:0).